The Memorial Candle Program has been designed to help offset the costs associated with the hosting this Tribute Website in perpetuity. Through the lighting of a memorial candle, your thoughtful gesture will be recorded in the Book of Memories and the proceeds will go directly towards helping ensure that the family and friends of Donald Tomlinson can continue to memorialize, re-visit, interact with each other and enhance this tribute for future generations. 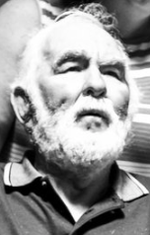 Donald "Mickey" Tomlinson, 78, of Greenville, went to be with the Lord on Monday, August 6, 2018. He is survived by his wife, Patsy Pearson; his daughters, Wanda Tomlinson (Rick) and Donna Childs (Dewayne); two brothers; two sisters; his grandchildren, Dana Shepherd, Ashley Geiger (Matt), Andrew Lockaby (Madison), Hunter Childs, Ricky Kelly, Tommy Kelly and Connor Kelly; and his six great grandchildren. He was preceded in death by his daughter, Tammy Tomlinson; two brothers; one sister and his parents, Paul Tomlinson and Sue Tomlinson. The Visitation will be held on Thursday, August 9, 2018 at 12:30 pm at Palmetto Mortuary at 1017 Mauldin Road, Greenville, SC with a Celebration of Life to immediately follow at 1:30 pm. Burial will be held at Graceland West. In lieu of flowers, contributions may be made to Greenville Area Parkinson Society at 220 N Main St #500, Greenville, SC 29601. To send flowers to the family of Donald Mitchell Tomlinson, please visit our Heartfelt Sympathies Store.